The AlcoSense Breathalyser has been designed to be as easy as possible to use and designed to fit in the palm of your hand. To activate the breathalyser all you do is slide the breathalyser open. Once open it prepares the sensor and the screen will show a count down from 19 to 0, then it will display Blow. When it says blow, blow through the tube for approximately 5 seconds until it beeps. 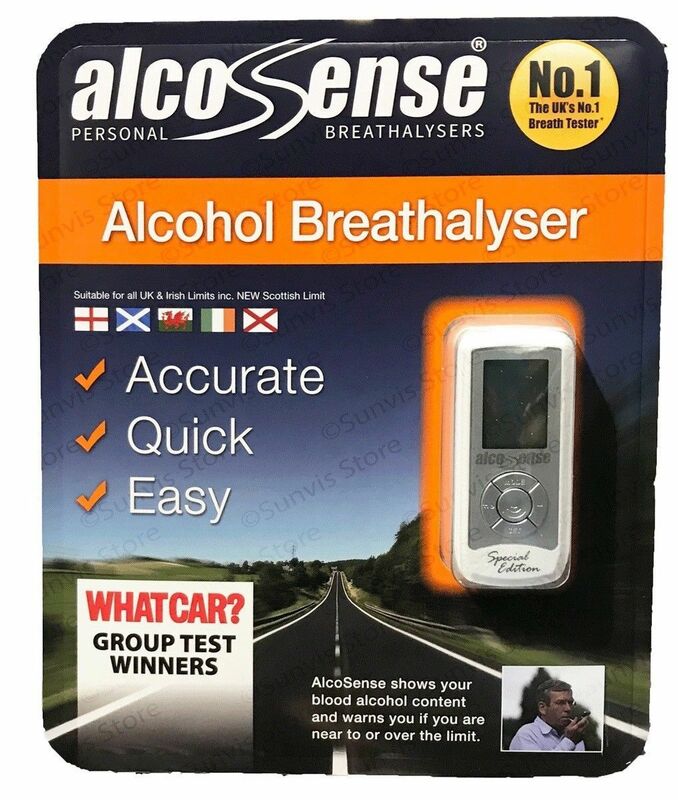 The AlcoSense's revolutionary design features in built air flow sensors meaning that you can't blow too hard or too softly which could distort the result of the breath test. If you blow too hard or too softly the system displays Error on the screen and allows you to re-take the test. All you need to do is keep blowing through the tube for about 5 seconds until it beeps to tell you to stop. The AlcoSense unit shows your level of intoxication in either mg/l (micro-grams per litre of blood) or %BAC (percent of blood alcohol content) and shows your reading in increments of 0.01. Pocket sized, it can discretely be kept anywhere. AlcoSense measures only 95mm (height) x 34mm (width) x 25mm (depth) when closed. It is powered by 3 x AAA batteries (included in the pack) meaning that you can use it anywhere at any time. The AlcoSense unit automatically performs a sensor clean after every time it is used, helping to keep the sensor in top condition and reading at its most accurate. Without cleaning moisture, oxidisation and contaminants such as tannin can build up, significantly affecting the quality of readings. With AlcoSense's automatic sensor clean after every blow test the unit will continue to perform at its best throughout its lifetime. For a deeper clean AlcoSense also has a feature called ASC (Auto Sensor Clean) which is designed to be used every now and again to give the unit a ‘spring clean', again ensuring that the unit reads to the highest levels of accuracy. All you have to do is press a button and your AlcoSense unit will do the rest for you. AlcoSense works with the English, Irish and new Scottish limit- just choose your alert level. Once set, you just blow into the unit and it will alert you if you are close to or over your chosen limit.